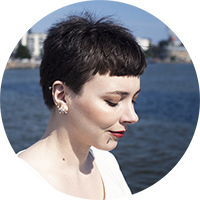 Thanks to my short hair I'm quite picky when it comes to basic haircare: not because my hair was difficult to manage (it's the opposite: my hair is pretty fuss-free), but simply because one bottle of shampoo and conditioner last me ages. I wash my hair several times a week, but I guess I don't need a huge amount of product. I see shampoo and conditioner as a commitment and of course I want the results to be excellent. I got a generous chance to test Maria Nila's vegan haircare, here's my thoughts on the Heal and Soft lines. Maria Nila isn't the average salon quality hair care company. Founded and manufactured locally in Sweden, they are famous for their color-preserving products and treatments. Maria Nila doesn't only focus on creating high quality haircare but are also passionate about animal well-being and the environment. All of products are 100% vegan, cruelty free and registered with three independent organizations (PETA, Leaping Bunny and The Vegan Society). They're also sulphate and paraben free, in the case that concerns you. All packaging is climate compensated as the brand contributes planting of new trees in South America with every product purchase. Click here to read more about their climate compensated packaging and certifications. Available on the official website and selected salons (in Finland). I kindly got to choose a Maria Nila Shampoo and Conditioner to try, but as much as I loved the concept and package design I wasn't getting the results I wanted. 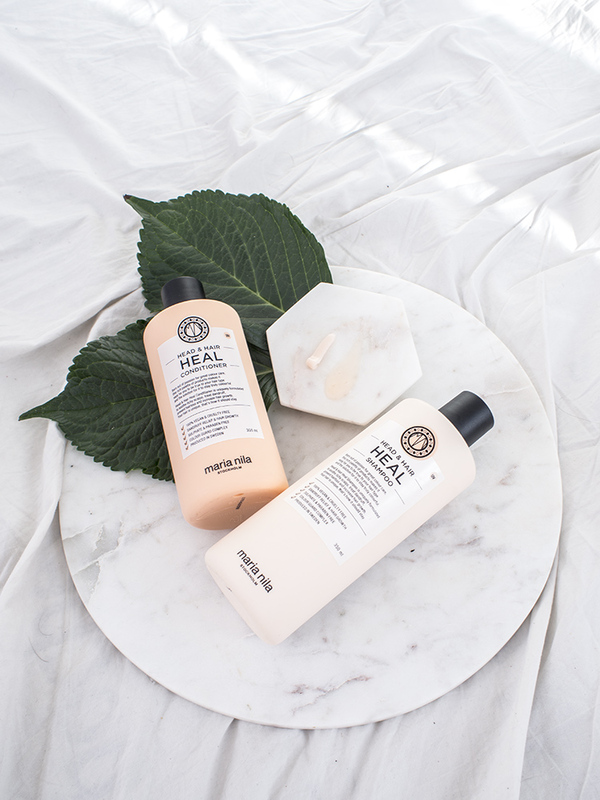 Heal Shampoo and Conditioner* felt too stripping on my naturally coarse hair and later I found out that Heal is not meant for my type of hair at all.. (I'll describe Heal in a minute). Then I got to try the Soft Shampoo and Conditioner* and noticed it was way too moisturizing and heavy. I rarely suffer from oily hair but Soft made my hair look greasy in a day or two. At a press event I talked to the Maria Nila's Nordic Marketing Manager, Alexander, about my issues and he advised me to mix and match the haircare lines. I hadn't even come to think about it, but after washing my hair with Heal Shampoo and conditioning with Soft Conditioner I had no issues I described above whatsoever. My hair look healthy and felt balanced. After I cut my hair to a pixie cut I've been rotating Soft and Heal Shampoos with no conditioner and I love how my hair looks and feels. Natural, soft to touch, no dandruff, no greasiness. Maria Nila's shampoos lather very nicely and I'm enjoying it a lot. I know that the amount of bubbles isn't an indicator of quality hair care, but it makes me feel cleaner. Sometimes non-conventional hair products don't lather very well and it makes me waste product by using more and more shampoo. At the press event I also asked why the shampoo comes in a larger bottle than the conditioner. The answer was obvious: we often use more shampoo than conditioner. It also makes the bottles easy to distinguish in the shower - with OUAI I often accidentally used the conditioner first as I couldn't easily tell the difference between the bottles. Maria Nila calls this line anti-inflammatory to prevent dandruff and scalp problems. They also describe that the ingredients in Heal line will stimulate hair growth and prevent hair loss. I would say this line suits for someone with a more problematic scalp, perhaps excess oil and dandruff. Suitable for daily use. Head & Hair Heal Shampoo is 350ml / 30€ and Conditioner 300ml / 30€. The potency of Maria Nila products surprised me, I wasn't expecting the Shampoos and Conditioners make a visible difference in such a short amount of time. I wish there was one more range that was only about the shine without too much softness - that'd be perfect for me! My hair is very easy to take care of, but if you have any concerns or perhaps color-treated hair I think Maria Nila is worth checking out. There's a real passion behind the brand and I really respect the transparency and sustainable, animal friendly values. Although all my beauty products are not vegan or CF, I follow a vegan diet and these things are close to my heart. If you're unsure which line would work best for you then try the 100ml travel sizes for starters! What's your current shampoo and conditioner? Do you mix and match? *These products were kindly offered for consideration. Thoughts are my honest and my own.